The Christmas Note makes its Hallmark Movies & Mysteries Original World Premiere on Sunday, November 29 at 9 p.m. ET/PT. The film stars Jamie-Lynn Sigler (The Sopranos), Leah Gibson (Rogue), Greg Vaughan (Days of our Lives), and Dylan Kingwell. 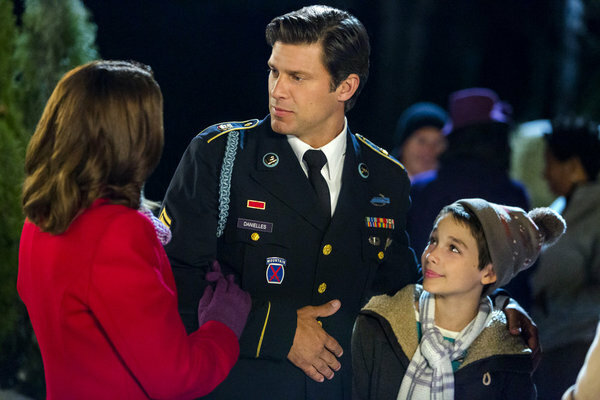 Having just moved back to her hometown without her serviceman husband Kyle (Vaughan) but with her young son (Kingwell), Gretchen Daniels (Sigler) finds her life in disarray as Christmas approaches. But she discovers new purpose when she helps to deliver a message to her neighbor, Melissa (Gibson), which makes her an ally in the quest to find the neighbor's sibling she never knew she had. The women become bonded not only by the search, but by the understanding that being there for each other means they're no longer alone. This friendship becomes the greatest Christmas gift of their lives.